Severe tests of skill, strategy and nerve. Just like your business. 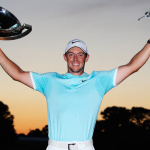 Proving he is definitely back, Rory McIlroy came from behind to win the PGA Tour Championship and the FedEx Cup on Sunday. It was a big win worth a total of $11.5 million. And he took it all from Dustin Johnson, who had been the clear FedEx Cup and tournament leader until the last day. Johnson was dominating with a combination of long accurate drives and a reliable short game, hitting them close and rolling in the putts. It started to fall apart on Saturday and he had the worst round of the day on Sunday to fall from the lead to fifth place. Before the final playoff rounds at the Tour Championship, any one of the Top 5 in FedEx Cup standings for the year could have won the $10 million bonus by winning the final tournament (and another $1.5 million in prize money). The five were Dustin Johnson, Patrick Reed, Adam Scott, Jason Day and Paul Casey. McIlroy was standing sixth, just ahead of Jordan Spieth. By the last round, Day had withdrawn due to a back injury, Scott, Casey and Spieth were well back and out of the running. McIlroy was coming up fast, but needed Johnson to falter for him to win the tournament and the FedEx Cup. Johnson opened the door, but two new challengers suddenly appeared with chances to win the tournament themselves. Kevin Chappell started the last round tied with Johnson, but left him well behind with a 4-under par for 68. McIlroy was playing with Ryan Moore and they both gained four strokes with final rounds of 64 to tie Chappell for a sudden death three-way playoff at 12-under par. That’s where it got complicated. If either Chappell or Moore won the tournament, then Dustin Johnson would still win the FedEx Cup by a few points. 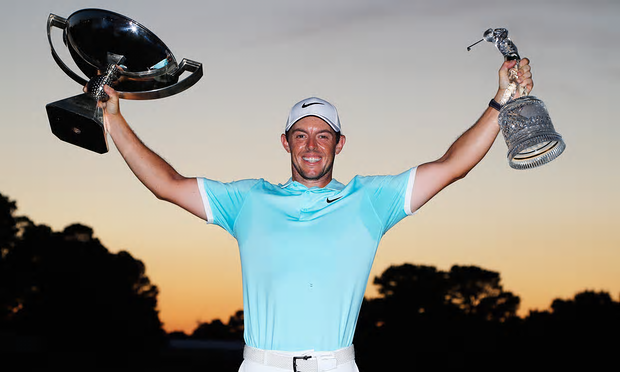 If McIlroy won the tournament, he would also gain enough points to win the FedEx Cup too. Over a challenging four holes in the playoff, he did just that. It was exciting drama to watch. Complicated scenarios with unmanageable variables and severe tests of skill, strategy and nerve.